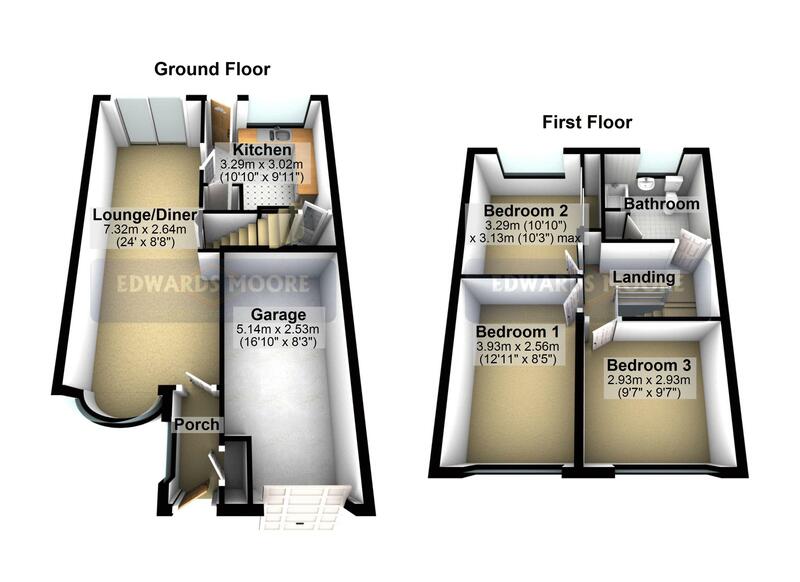 This well maintained three bedroom mid town house which offers no upward chain and requires an internal viewing to appreciate the accommodation on offer. The property comprises, enclosed porch, lounge/dining room, breakfast kitchen, family bathroom, driveway, garage and rear garden. All amenities are available nearby with local shopping at Blackwood Road and other areas in Streetly, together with a host of highly regarded local schools for children of all ages. Viewing highly recommended. Having a PVC door to fore, tiled flooring, cloaks cupboard, double glazed frosted window to side elevation and door leading to. 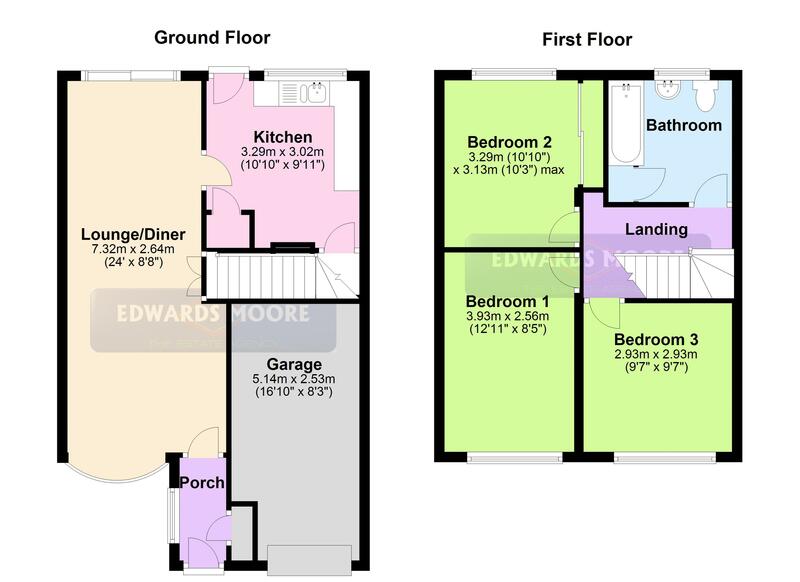 Having a double glazed bow window to fore, two radiators, ceiling coving, two wall light points, ceiling light point, double glazed sliding patio door to rear, stairs off to first floor landing, having feature fireplace and door leading to. Having a range of wall and base cupboards double glazed window to rear, storage cupboard, radiator, one and half bowl sink with single drainer, mixer tap over, plumbing for washing machine, radiator, space for table and chairs subject to size, part tiled walls, and door leading to. Having under stairs recess area and door leading to garage. Having a loft hatch, ceiling light point and doors leading off to. Having double glazed window to fore, radiator and ceiling light point. Having a low flush WC, wash hand basin, bath, airing cupboard housing boiler, radiator, obscure double glazed window to rear, radiator, part tiled walls and laminate flooring. Having a up and over door, shelving and power point. Having a block paved driveway offering parking for several vehicles with access to garage and front entrance. To the rear of the property is a paved patio area with lawn, borders, boundary fencing and rear gate. The shared access is between properties 138 and 140 which leads to Lowlands Avenue.